You have two choices when it comes to spread betting signals. You can either rely on someone else, or you can find make your own research and analysis and trade on signals which you develop yourself. 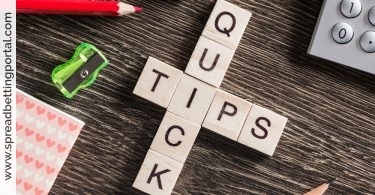 There are pros and cons to each of those approaches, and you need to be realistic about what you’re prepared to do. Firstly, let’s be clear what signals are. 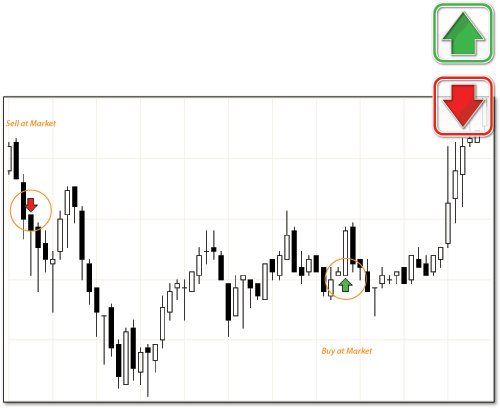 In the context of trading, signals are a particular value or action that tells you that a bet should be made. 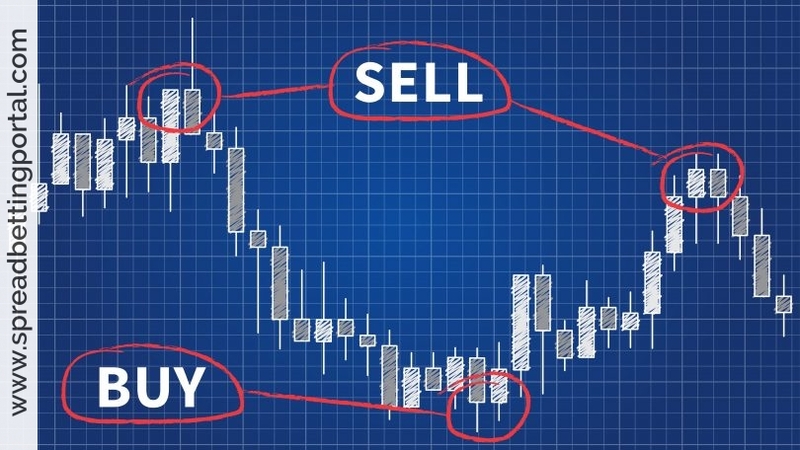 If you have studied technical analysis (and if you’re interested in spread betting signals and have not, you should) then you know that there are various indicators that you can use in conjunction with the price charts that will allow you to judge the ‘mood’ of the market. For instance, one of the simplest trading strategies is called the “moving average crossover”. It consists of plotting two moving averages of different time periods on the same chart, and watching to see where the lines cross. When the shorter period moving average crosses above the other one, it is a bullish sign and can mean you should take a long bet; and vice versa for a short bet. The crossover is the signal. If you use indicators such as the moving average convergence divergence (MACD) then you will know that one of the lines plotted is called the “signal” line. The MACD was invented to try and overcome the inevitable lag in the signal from using two moving averages, and once again the crossing of the line is taken as the signal to trade. For instance let’s say have designed a set of indicator signals that draw information from the market and plots your trade entries. As per the chart below, a green arrow indicates ‘Buy at Market’ while a red candle indicates ‘Sell at Market’. None of the signals from technical indicators is perfect, as otherwise everyone would be using it and be rich, but one of the tasks of the trader who is interested in technical indicators is to test various devices on the charts and see how well they work. Some financial securities are better traded with different indicators than others, and most of the indicators have the values that can be changed to optimize their performance. If you have invested in charting software, or if it is offered by your spread betting dealer, you can usually set notifications of when certain conditions are reached, which call your attention to price action in the security in case you want to make a bet. In this case you would be generating your own spread betting signals based on your research and experimentation. An alternative is to subscribe to a spread betting signalling service, where someone else does the work of setting up the chart, and simply e-mails you when the signal is received, telling you the bet to place. Some people will use this method because they feel they do not have the time to study the charts themselves, and prefer a full-time professional to do so. Others will use the signal service because they feel they do not know enough about interpretation of the charts to make their own decisions. While there is a place for a signal service, it is best if you at least are given the reasons that the signal has been generated so that you can check on the trading strategy, and it is relatively easy for you to set your own alerts, taking responsibility for your spread betting. However, even if one day you were to find the holy grail and gain a great system, keep in mind that whipsaw moves could still happen, as failed pattern setups, premature breakouts, bull or bear traps..etc.. This is a tough game – and mostly zero-sum so you have to keep surviving from the losses of other market participants. I have a great example of why, once you have a proven spread betting system and rules to follow you should stick to them no matter what. I made 3 mistakes not so long ago when trading my Adobe shorts by not following my simple rules and subsequently missed out on another 200 point gain. See, even I, who is always shouting about sticking to your rules, fall victim of trying to be too clever and breaking the rules. When I closed the bet I was predicting a possible upturn and wanted to try and lock in a 400 point profit and would open another short after the upturn. Just 2 days later I closed with 400 point gain but I missed 200 points as the share price kept moving. Let’s see what mistakes I made to miss out on another 200 points. Where did I break my rules. By trying to be clever and predict a market reversal instead of just following the trend I closed too early. MISTAKE 2 – Don’t close manually unless your signal tells you or you hit a stop loss or trailing stop loss or a limit point. Again, why did I interfere, I should have just let it run and follow the trend until my system told me otherwise. 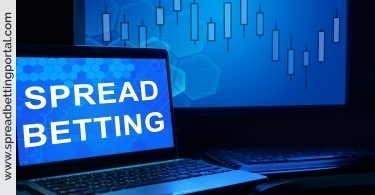 One of the basics of trend spread betting is that once in a profitable trade let it run. This is how you make money. The idea is cut losing trades short but when you are winning let it run until your system tells you otherwise. That way you can be wrong over 70% of the time and still make a lot of money. The large winning trades more than make up for the smaller losing trades. NO-ONE is right 100% of the time, those that say they do are lying. By failing to follow MY OWN basic rules I have missed out on another 200 points profit and possibly much more as the trend could still continue. Its funny, a traders mind is never happy lol. You would think that I would be happy to walk away with 400 point profit and quite a few thousands pounds. But Oh No, like nearly every other spread better I also think that I should have done better, I should havegrabbed that extra 200 points. THAT brings me on to the most important rule I broke TAKE EMOTION OUT OF THE TRADE. If a signal says “Go Long” we BUY the Dow. If we are already ‘long’ the Dow, and a signal says “Stay Long”, we stay Long. If a signal says “Go Short” we SELL/Short the Dow. If we are already ‘short’ the Dow, and a signal says “Stay Short”, we stay Short. The rules for this particular strategy means that daily signals can be: “Go Long” or “Go Short” or “Stay Long” or “Stay Short”. GO LONG: Means open a new “long” position. GO SHORT: Means open a new “short” position. STAY LONG: Means ‘hold’ on to your long position. STAY SHORT: Means ‘hold’ on to your short position. One hot issue that keeps cropping up is why should a tipster sell a winning trading system if they can keep it for themselves. Of course I do realise that there are some people out there who teach how businesses work without owning businesses themselves and probably without signal vendors and book sellers or coaches selling their ‘products’ we would never really learn much. Let’s make it clear here – I don’t endorse any people who sell signals but I’m not ready to put them down as thieves. I don’t think there’s anything close to the holy grail out there and I realise there are many charlatans in our industry turn to selling because they are unable to make money from trading; either because they have failed or because they haven’t even attempted . Yet I am still not ready to pass a conclusion without giving a signal seller or trading system (or anything for that matter) a fair trial whether this comes at the cost of my time or money – but this has to be my free choice after due diligence. One aspect that most of us traders recognise as important is the psychology part of trading – case-in-point why do investors get such different results when they switch from demo trading to real money? Some people are born to do while others are born to teach! Maybe that’s how it all works. If one believes that traders are made and not born and that one could be trained in the art of trading then we have to accept that someone has to do the teaching or training. And no one can reasonably expect anyone to do anything for free – even if this amounts to just compensation for their lost trading time. Let’s first look at trading system and trading signals sellers. If the trading system doesn’t work the seller would do so because that’s the only way to extract money. No one in his right mind would want to pay for signals or trading systems that don’t work but then it is never stated that they don’t [rather the opposite, in most instances]. That would of course be dishonest! So why would someone sell a trading system or signals which actually work? Money can’t be the reason – a trading system is mainly limited in effect by a market’s liquidity and getting other traders to use the same signals would drain liquidity for the seller’s own trading. In simple terms, if one can trade, you can generally make a lot more money trading your signals than selling them for a modest amount for other people to copy. It would be more sensible in such cases to utilise the liquidity to increase one’s trade size as opposed to selling the ‘liquidity for a small amount (normally £100 or less a month). Even if one feared that the system would only work for a limited time it would again be unethical if one resorted to selling the system unless this is stated clearly. Some side with the system vendors arguing that they deserve something in return for the effort and expense in developing the trading system. But this doesn’t hold – it simply doesn’t make any financial sense to sell a profitable system to the public. Perhaps if one were to sell a system to Goldman Sachs for a one-off consideration of millions, then perhaps there might be a case but this is certainly not the case for most systems. So why charge for signals or systems that work? It simply does not make sense. Perhaps the fact that system sellers desire to give something back to the community and do some good!? Surely, this is hogwash – if your systems or signals are any good you are sacrificing the liquidity available to you. The successful people using the signals would then buy comfort material things with the resultant gains they make from utilising the system. They might then go to do some good deeds with the monies but having so many people using this liquidity to buy luxuries is a highly inefficient way of giving back to the community. If such was the case it would be better to trade oneself to the maximum possible and use the excess gains for charitable work. Because if you think for a moment, the buyers of your systems are unlikely to be people with desperate lives. Let’s take the case of a profitable trader who makes a million pounds trading his system. He spends half of this on himself donating the other half to charity. He sees that he could easily do 20 times this amount. What does he do? Increase his trade size until he’s making £21 million a year, distributing £20.5 million to worthy causes? Or does he sell his system to 20 other people who each then also take half a million for their personal enjoyment while donating the other half to good causes? In this instance there would only be £10.5 million left for good deeds with £10.5 million going for the personal enjoyment of the 20 traders. Thus the ‘nice guy’ story doesn’t hold in terms of financial terms. Thus there is simply no logical sense why someone would distribute a profitable system or signals for a fee. Although the situation is a little different with educators and trainers the same logic still holds. And the available liquidity must by definition be worth more than the price of the system or trading signals otherwise the system sellers are acting in bad faith. In simple terms, you stand to make more money trading your trade signals than selling them for a little amounts for other people to trade. I always feel that one of the best recommendations is to find a reputable alert service first. The reasons are quite simple. Finding an alert service that will match your needs perfectly is not easy however, and because of this I liken alert services to ‘stepping stones’, i.e. treat them like a stepping stone towards creating your own trading system and business. A lot of the time this will simply mean tweaking the system used in the alert service to suit you. As for ourselves, we are not a trade alert service, so the room is really not about what I do, it is about fellow traders helping each other out and using what we teach to make each other successful. It does make me smile some times when we get feedback that disagrees with what we do for whatever reason, as there is no right or wrong if everyone agreed then the market would have a heart attack and would just be a flat line.